Israeli Judge Says Airlines Can't Reseat Women At Request Of Men : The Two-Way Ultra-Orthodox Jewish men sometimes refuse to sit next to women — including on planes. Now an Israeli court says airlines cannot ask a person to change seats based on gender. An Israeli court has ruled that asking women to change seats because of their gender is discriminatory. 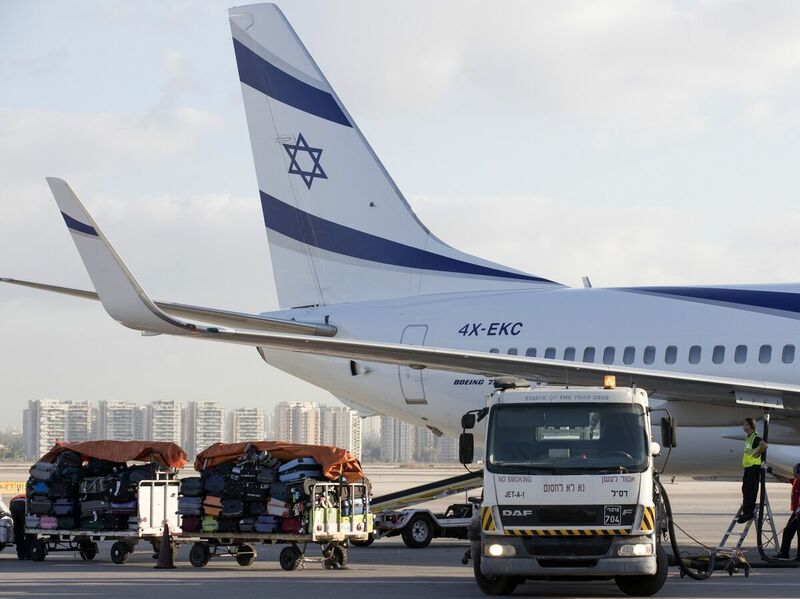 It has ordered the airline El Al to instruct its staff in writing that such requests are illegal and train workers in the new rule within six months. Renee Rabinowitz, a Holocaust survivor in her 80s, was flying from Newark, N.J., to Tel Aviv in 2015, when a flight attendant on Israel's El Al airline asked if she would be willing to change seats. An ultra-Orthodox Jewish man had said he did he not feel comfortable sitting next to her. Rabinowitz agreed to move. But afterward, she said she felt "deep humiliation" — and sued the airline in Israeli court. Jerusalem's Magistrate Court ruled Thursday in her favor, saying that asking her to change seats based on her gender was discrimination. "I'm thrilled because the judge understood the issue," Rabinowitz told The New York Times. Her lawyers are calling it a "revolutionary" decision. Rabinowitz, an Orthodox Jew, is a retired lawyer with a Ph.D. in educational psychology, according to the Times. "Despite all my accomplishments — and my age is also an accomplishment — I felt minimized," she told the newspaper. Rabinowitz was represented by the Israel Religious Action Center, the legal and advocacy arm of the Israel Reform movement. The group says requests for seat changes to accommodate men who don't want to sit next to women have become common. "It's difficult to find someone who has flown New York to Tel Aviv who hasn't seen it or been a part of it," IRAC Deputy Director Steven Beck told NPR. "Particularly around the holidays, a lot of ultra-Orthodox are taking flights" and the men "would not sit down." Beck says the phenomenon isn't limited to flights on the Israeli airline: "It's just [that] the number of ultra-Orthodox Jews on El Al is greater, and the effort to accommodate them is greater." After the lawsuit was filed last year, El Al told Israel's Haaretz newspaper that its "employees in the air, on the ground, in Israel and around the globe do all possible to listen to and provide solutions to the concerns or requests from our customers whatever they might be, including seating requests on the airplane." In court, the Times reports, the airline said it had not discriminated against women because its reseating policies also applied to men. But it pointed out that Israeli courts have allowed religious observance to be considered in the past. Why doesn't El Al have passengers request special seating requirements in advance, as they would request a kosher or vegetarian meal? "Our problem is with pressuring women," says Beck. "It's not fun to be told a flight will be delayed or sent back to the gate if you don't accommodate a man's request." Rabinowitz's case echoed other recent battles in Israeli public life. Beck called the ruling a victory over "the gender segregation that Israel has been battling for more than a decade — all of the attempts by the ultra-Orthodox community to push women out of the public sphere." IRAC won a lawsuit in 2007 against gender segregation on public buses (though Beck notes that buses in ultra-Orthodox neighborhoods continue to have de facto segregation). And in 2014, an Orthodox feminist group won a class-action lawsuit against an ultra-Orthodox radio station that wouldn't allow women's voices on the air. Rabinowitz's family fled Europe to escape the Nazis at the beginning World War II and moved to the United States; she later moved to Israel. Beck said his client is a mother of two, grandmother of six, great-grandmother of 32, "and now a civil rights activist." Rabinowitz told the Times she was "exhilarated" by Judge Dana Cohen-Lekach's ruling because "she realized it is not a question of money; they awarded a very small sum. She realized it's a matter of El Al changing its policy, which they have been ordered to do."